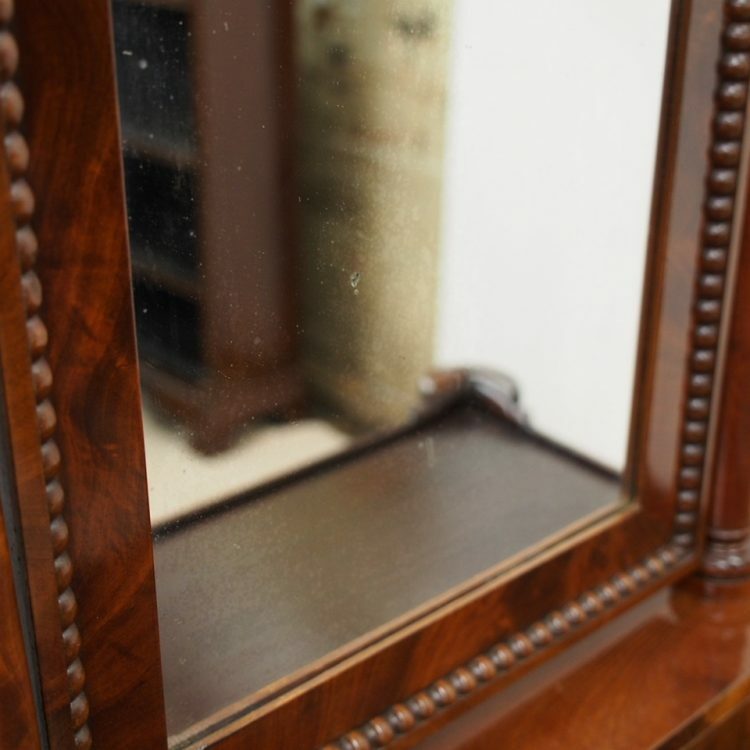 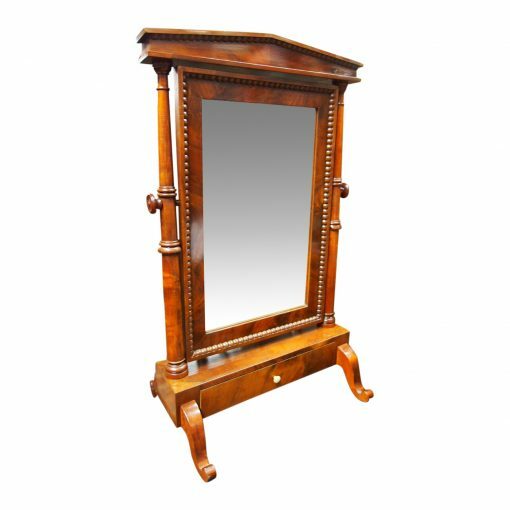 Circa 1860, unusual mahogany Biedermeier toilet mirror. 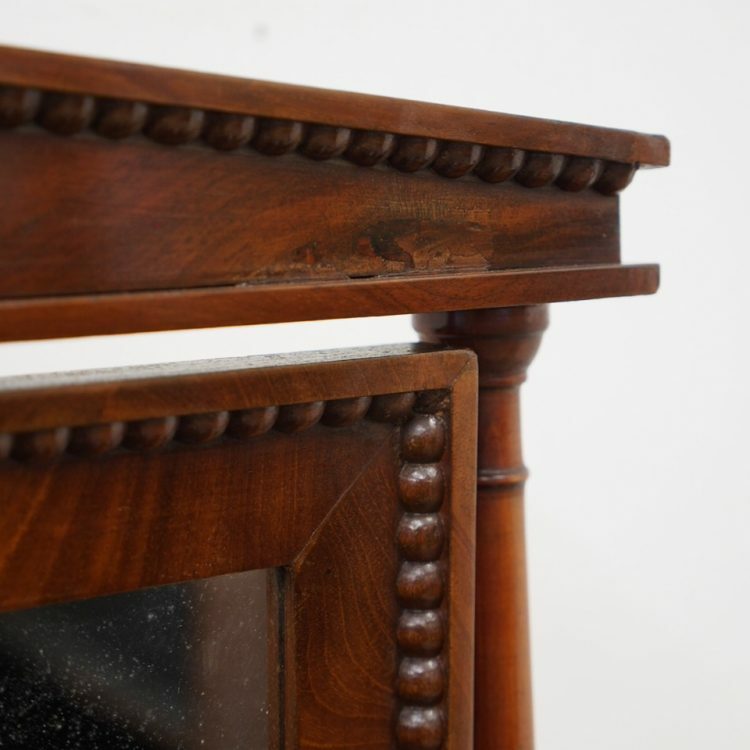 With an architectural pediment and beading to the top and matching veneers to either side, sitting on a rectangular frame. 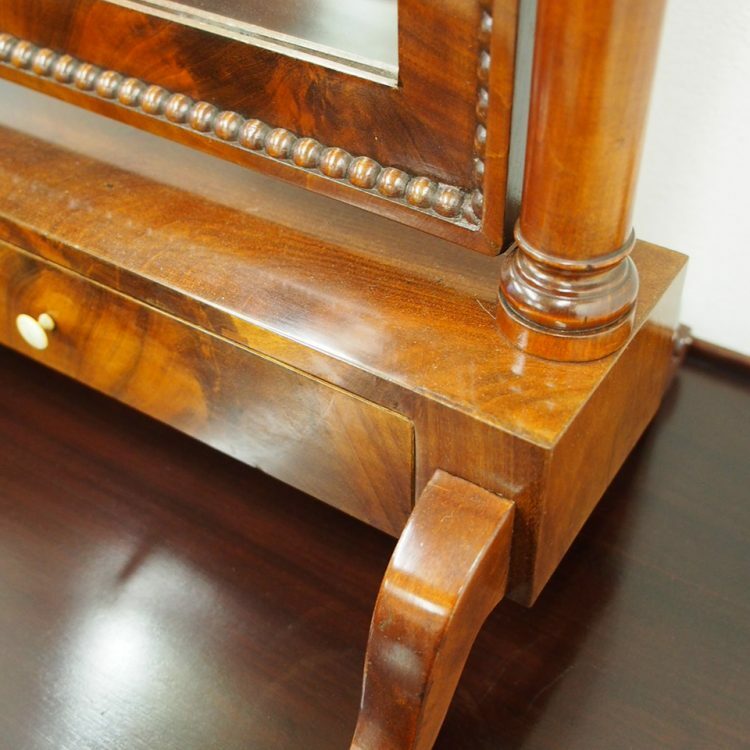 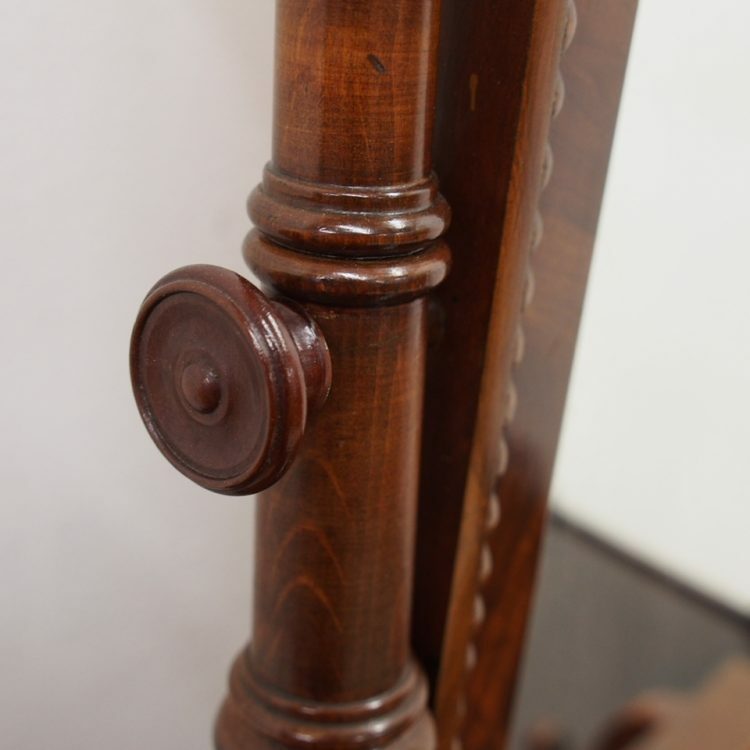 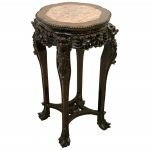 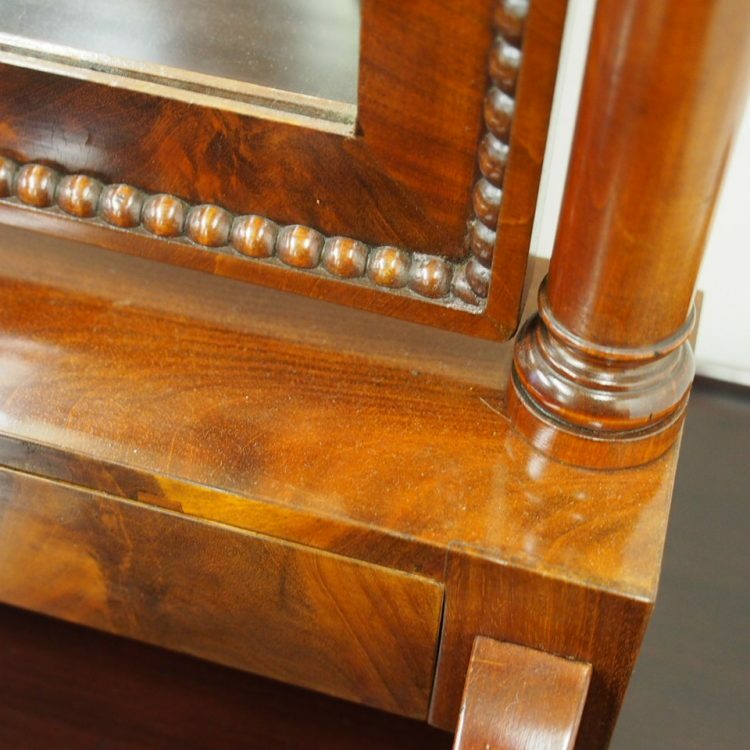 There are 2 turned, tapering uprights continuing down towards the base, with a flame mahogany mirror with square beading and similar beading to the pediment. 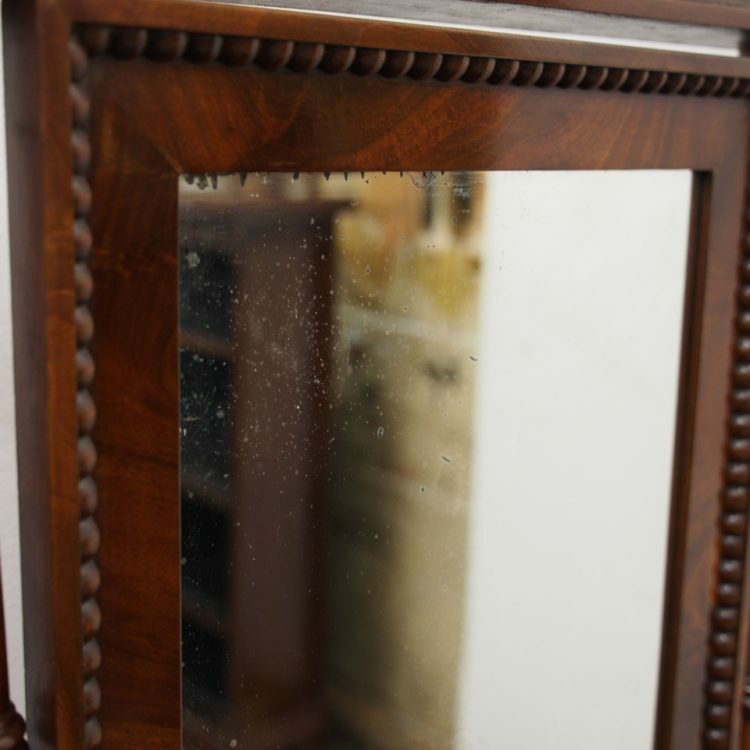 The mirror is held in place by 2 turned knobs with patterns on the outside. 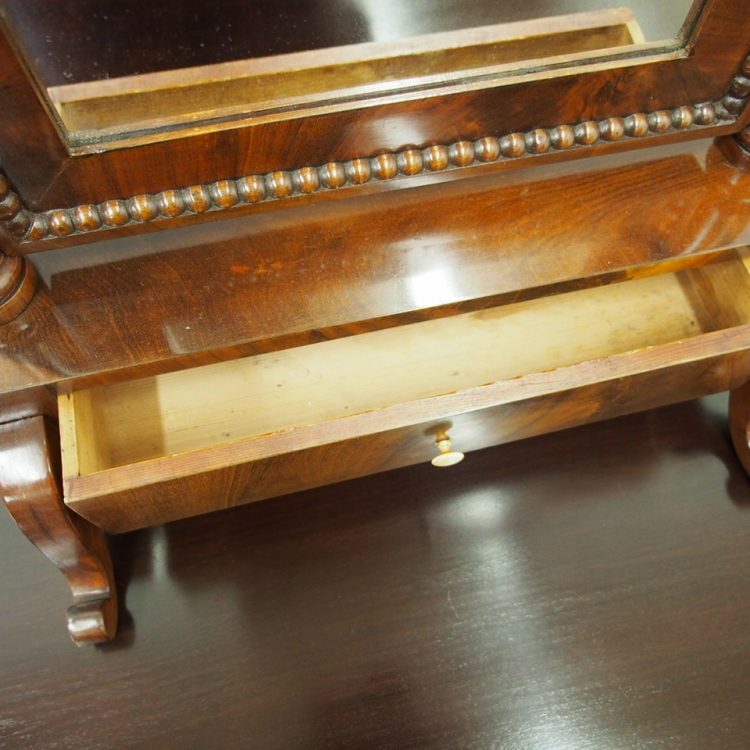 There is a flame mahogany panel to the front and a full length drawer also in flame mahogany and a simple bow turned knob handle. 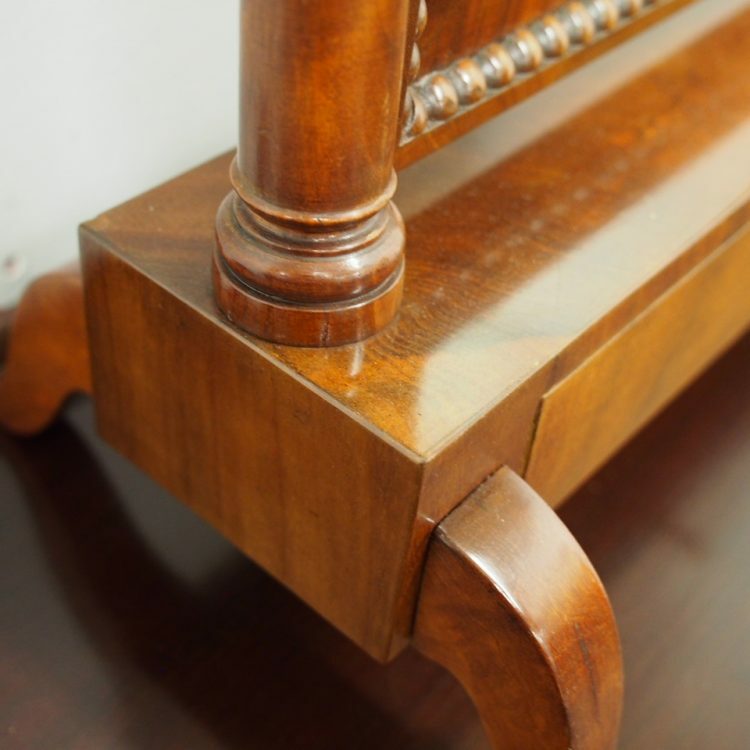 The sides are veneered and the 4 simple cabriole legs finish on a raised foot.